This year for the holidays I have chosen to keep it simple and heartfelt. 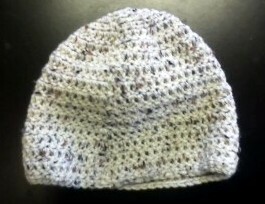 I love to crochet and will make some fun items for family and friends. 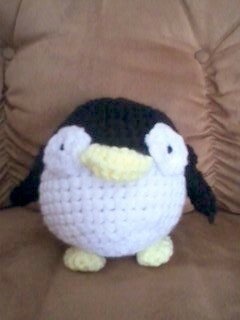 I started with a scarf and a few hats, then moved on to more exciting projects like stuffed animals. I have just picked up the art of crochet again after a very long hiatus and am having so much fun with it! Here are a few pics of some things I've done so far. My 5 year old loves the stuffed animals. I ended up giving him both the penguin and the birds because he thought I made them for him :) They are actually pretty easy and fast to make, so I will just make more. I'm also planning on making some wood board decorations and blankets for Christmas as well. I am sending small baskets with homemade preserves and crocheted washrags to the neighbors. I just hope everyone enjoys them as much as I've enjoyed making them. They don't cost me much of anything except my time, and I think that's a pretty good trade. Especially since it's freezing outside and I may as well spend my time on something other than staring at a TV. 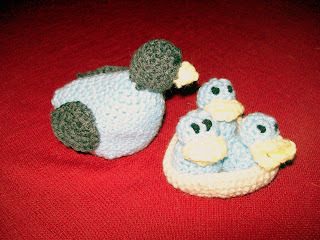 The patterns for the penguin and birds were found at www.lionbrand.com and the hat pattern was found at walmart for free with the yarn. As the title of this post suggests, I do plan on posting more about my handmade holiday gifts. So keep an eye out for the next installment!